Time and again in the Quran Allah has said to us that He is always close by to us. He is with us. He is everywhere. We should only call onto Him and He will respond. While we read the verses and let them sink in, have we ever stopped to wonder what they really mean? 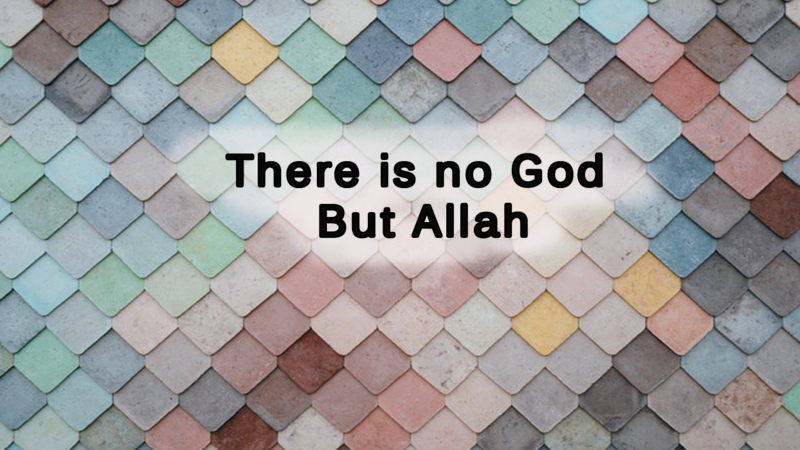 When Allah says He is All-seeing and All-Being what does it entail? It means that Allah is within us, our souls. It means that Allah is our conscience. He is our thoughts and he is how we differentiate from right and wrong. Allah is Omnipresent. This means that He is everywhere, whether we know it or not. His being with us all the time is a reminder that we have been sent in this world as a test and we should pass the test and move onto our next destination, the final one. Allah has said in the Quran about our conscience; “And We have already created man and know what his soul whispers to him, and We are closer to him than [his] jugular vein” (50:16)” In this verse Allah says that He knows the good and bad that goes on in His creation’s mind. He is closer to His creation than the vein that separates humans from life and death. With every breath that a human takes, Allah is closer to the person, enough to know what his soul and thoughts are saying to him. Allah has already told us in the Quran how to lead our lives. It is when we are leading them we must be sure of Allah’s presence around us. That presence makes us either go to the right or wrong path. If we feel that presence deeply we will always take His path but if the connection gets distorted and we listen to Shaitaan , we will not. Regardless of how we lead our lives, one thing is for certain; Allah is All Seeing and All Being. There is a tradition of the holy Prophet about this attribute of Allah. The Prophet Mohammad PBUH sais “He is with you wherever you may be. And Allah is seeing your deeds.” He knows whether you have followed his path or been betrayed, by it. He knows. Because He is with you. Another tradition of the Holy Prophet relating to this is "The deeds of anyone of you will not save you (from the Fire)." They said,"Even you (will not be saved by your deeds), O RasoolAllah?" He said,"No, even I (will not be saved) unless and until Allah bestows His Mercy on me. Therefore, do good deeds properly, sincerely and moderately, and worship Allah in the forenoon and in the afternoon and during a part of the night,and always adopt a middle, moderate, regular course by which you will reach your target (Paradise)." To each his own is what Allah tells us in the Quran and what the traditions say. Once we fully believe that Allah is watching every move made by us, He knows every thought that enters our head and heart, He feels every breath our body takes, we will ourselves and automatically go towards what Allah has prescribed for us. May Allah made the love of Jannah strong in our hearts, Ameen.